9781455589272 | 1 edition (Grand Central Life & Style, April 7, 2015), cover price $28.00 | About this edition: Now a New York Times bestseller1 Week, 2 Steps, 3 Juices Juicing and cleansing are more popular than ever, but most programs ask readers to avoid food and live on juice alone for days on end. 9781455589289 | Grand Central Life & Style, April 24, 2018, cover price $17.99 | About this edition: The New York Times bestseller makes detoxing easy! 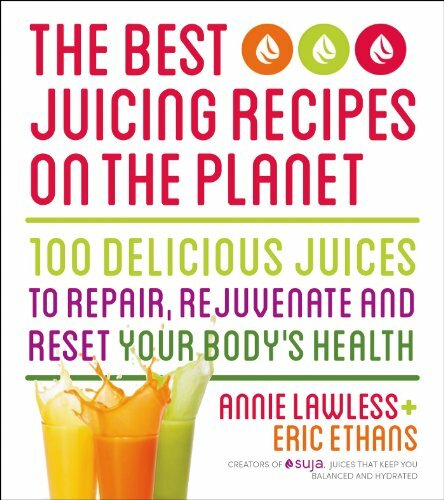 9781624140297 | St Martins Pr, December 24, 2013, cover price $19.99 | About this edition: Annie and Eric, the co-owners of Whole Food Market's sensation, Suja Juice, have compiled their most popular, most effective and healthy juicing recipes for The Best Juicing Recipes on The Planet.